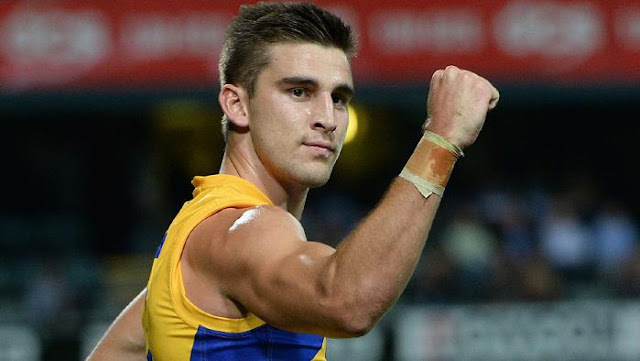 THE West Coast Eagles have received an early Christmas present with Elliot Yeo signing a long term deal with the club. Yeo has put pen to paper on a five-year extension which will keep him at the club until the end of the 2023 season. The 24-year-old is coming off his best season for the Eagles, securing All-Australian honours and taking out the John Worsfold Medal in 2017. “It’s a great feeling to have the contract settled at this early stage so I can concentrate on the pre-season and preparing for 2018,” Yeo said. Following the retirements of experienced stars like Matt Priddis, Sam Mitchell and Drew Petrie, Yeo will be part of a new generation of leaders at the Eagles. The utility says he is looking forward to taking on the extra responsibility in 2018. Yeo was drafted by the Brisbane Lions with the 15th pick in the 2013 AFL draft. He requested a trade to the Eagles at the end of the 2015 season and has barely missed a game over the last three years. He was also a member of West Coast’s 2015 Grand Final loss to Hawthorn. Eagles football boss Craig Vozzo believes Yeo’s best football is still to come. “Clearly, Elliot is a very important player for us and we expect him to be central to our short- and long-term plans, so it makes sense to sign him on a long-term deal,” Vozzo said. “To have him committed to the club until at least the end of the 2023 season is a terrific outcome for both Elliot and the club. “Although Elliot won the John Worsfold Medal in 2017, we believe he has his best football ahead of him and we are all excited about that.